The humble BBQ chicken is a busy mum’s best friend. 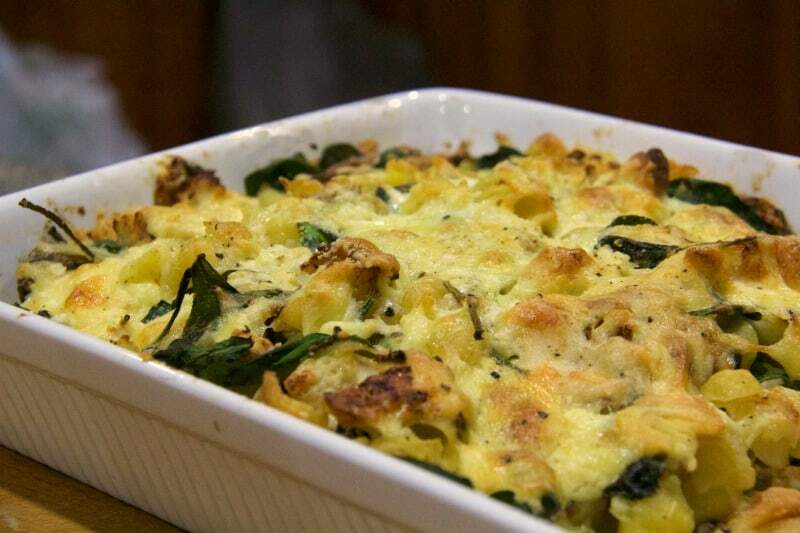 With a chook in your fridge, you have meat to send on sandwiches for school lunches, legs to offer hungry husbands at 6pm and still enough leftover to make this delicious cheesy chicken pasta bake. This dish qualifies as ugly food because I’ve included BBQ chook. Let’s face it – you’ll never find this particular poultry in the ingredients list of any of the gourmet magazines. Well, their loss I say! If you don’t have a BBQ chicken on hand, you could cook use leftover roast chicken or brown 400g chicken pieces in a pan before baking. Cook the pasta in boiling salted water until it’s al dente. Cut the chicken into pieces and slice the mushrooms. Combine the ricotta, parmesan and tasty cheese in a bowl. 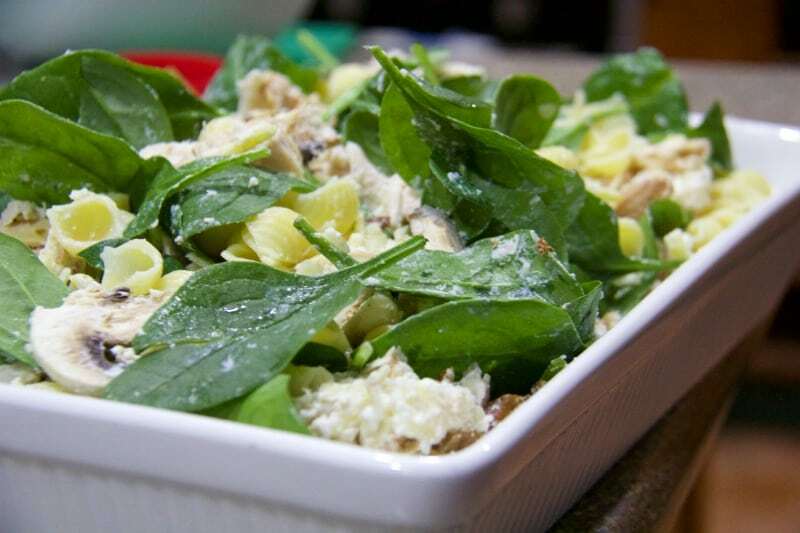 In a large baking dish combine the cooked pasta, chicken, mushrooms, spinach and cheese mixture. Stir to distribute the cheese mixture evenly. Top with additional tasty cheese. Bake in a 180ºC oven for 15-20minutes or until golden brown and heated through. Then high-five yourself for having fed your family dinner again. This is recipe freezes well. If you’re feeling organised or, like me, are preparing to take your leave for a few days, you can construct this (with or without the baby spinach), then freeze it before the baking stage – a great backup to have in the freezer when you’re late home from swimming or you’ve left your family alone to their own devices! are you a make-ahead-meal kinda person? I wish I was a make a meal ahead person – but I’m usually a make just before the kids start a mutiny type instead! Love me a pasta bake of all types! 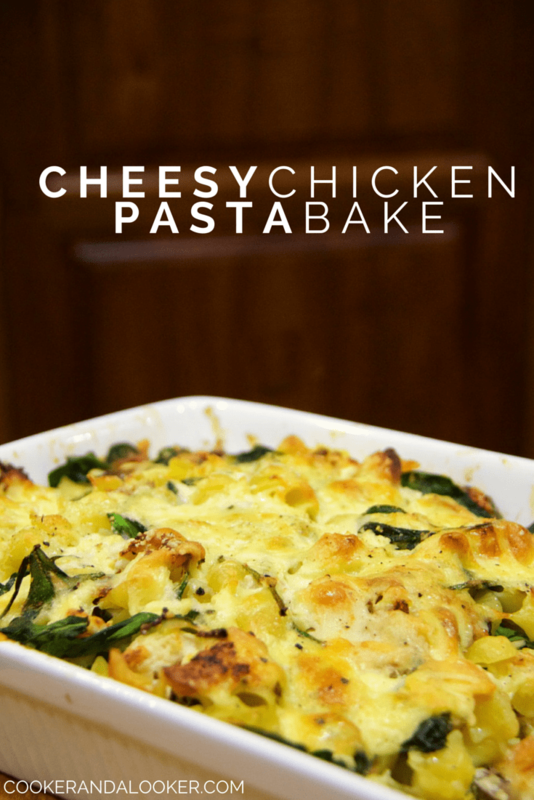 Hi Amanda, I would love you to stop by Food on Friday: Pasta over at Carole’s Chatter to add this to the recipe collection! Cheers!